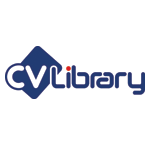 According to the latest research from leading job board, CV-Library, over half (56.4%) of UK professionals believe their colleagues don’t work hard enough, with a further 76.7% stating that this impacts how they feel about their job. The survey explored the topic of professional relationships in the workplace, to find out how Brits feel about their co-workers and whether they’re happy for their colleagues’ successes. Interestingly, the majority of professionals (55.5%) work with people they dislike or find frustrating, with just over a third (34.4%) of employees also stating that their workplace has a negative atmosphere because of this. “It’s concerning to learn that over half of Brits feel their fellow workers aren’t pulling their weight. This can be demotivating, unfair and frustrating for employees. What’s more, the negativity that professionals are reporting is bad news for both workers and businesses. What’s more, the study revealed that despite the majority (88.9%) saying that they do always support their colleagues, 25.5% become jealous when their co-workers get a promotion. Furthermore, over a third (36.7%) admit to discussing salaries with the colleagues, with one in three (37%) becoming jealous if they don’t earn as much, or that their co-worker received a pay rise. Biggins continues: “While professionals do claim to support their colleagues, it’s apparent that this can be challenging when competition, pay and the desire for success gets in the way. Work can be stressful, so it’s important that employees do have those support systems in place to help them. Plus it’s a shame that a number of people admit to feeling jealous of their co-workers success.